Save on accommodations and more... see below for all the offers available. *Offers listed below are subject to change and without notice. Please contact them directly to confirm. Stay 1 night get the 2nd and 3rd night's at 50% off! From your event host, where the action is! Book your first night at our regular room rate and receive the 2nd and 3rd night’s at 50% off. We will also include a bonus food and beverage voucher to use in our pub or dining room. Ask about our boxed lunch's! Ready to go when you are! * Offer valid for Kaslo Rainbow Derby participants only. 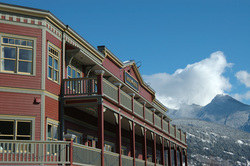 The Kaslo Hotel offers hotel accommodations and vacation rentals in beautiful Kaslo, BC. With breathtaking views of Kootenay Lake and the surrounding mountains, it's the perfect choice for a weekend or week-long getaway. 10% discount on a overnight stay! One Bedroom $100.00 per night or $500.00 per week based on 7 nights. These beautifully renovated cabins have a secluded courtyard. 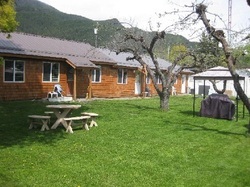 Located right downtown Kaslo and within walking distance to the boat launch, dock and pub! 10% discount on a 3 night stay plus breakfast! 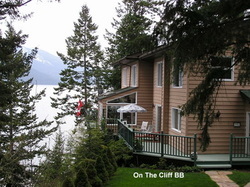 For this popular event in Kaslo we are pleased to offer a 10% discount on a total of 3 nights accommodations (incl. full breakfast) plus, hot meal lunches to be delivered right to your boat(for an added fee)! No need to take a break from fishing. Best of luck to the participants!! Get the full experience of the Kootenays and stay right on the Lake. Enjoy the stunning views of the Purcell Mountains as you troll through the day and the calming effect of the water as it rocks you to sleep at night. You can make your own breakfast, lunch and dinner exactly the way you like it right on the ship! All you need to bring is your food & sleeping bag!